In addition to the important health and safety concerns associated with a radiological attack, hospitals and research centers face considerable liability and reputation risks. Replacing cesium-137 source-based devices with X-ray technology protects those without insurance to cover losses associated with acts of terrorism—losses that easily could cause financial devastation for an institution responsible for paying huge damages in the wake of a dirty bomb explosion using stolen material. 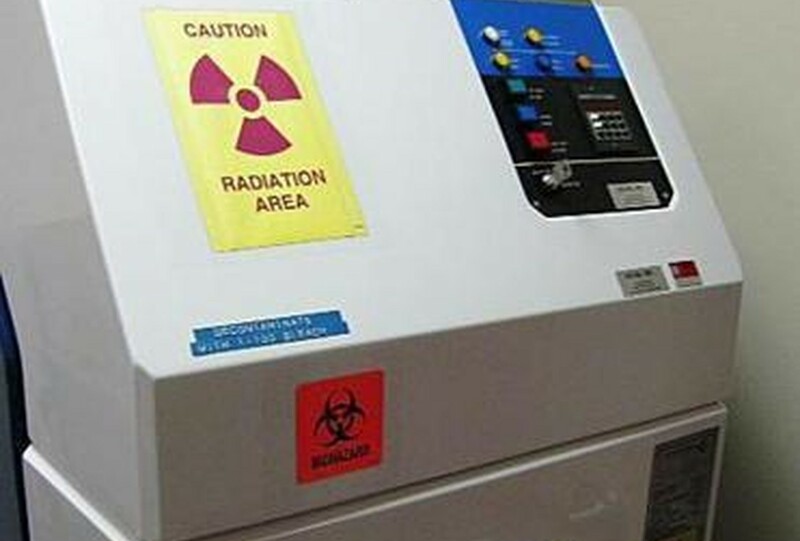 Learn more about available alternative technologies: In 2012, the U.S. Food and Drug Administration approved the use of non-radioactive X-ray devices for sterilizing blood that provide the same medical outcomes as cesium-137 blood irradiators. Three types of these devices on the market are FDA approved--Best Theratronics, Hitachi, RadSource; each costs approximately $270,000 per unit. The X-ray units require far less costly security and shielding, they eliminate liability, and they do not require expensive disposal at the end of the machine’s life-cycle. View a comparison of the available X-ray irradiator technology specs here. Are the alternative X-ray devices effective for blood irradiation? The reliability of X-ray devices has improved significantly since the machines were first introduced and X-ray irradiators now offer a direct replacement for cesium-137 irradiators. The FDA has certified that x-ray irradiators from two U.S. commercial manufacturers (Best Theratronics and Rad Source Technologies) are “substantially equivalent” to cesium-137 irradiators. X-ray irradiators also have additional benefits and options not available with traditional cesium-137 irradiators. The unique design of the rotator typically allows users to increase their throughput and sterilize more blood products in less time. Other models have self-contained cooling systems and wheels for easy transportation, making the irradiator more ergonomic and easy to use and maintain. Most importantly, all regulatory and security requirements needed for cesium-137 irradiators are eliminated – including license fees—with the transition to X-ray devices, as well as the need to perform additional monitoring for radiation exposure. Click here to get more details about available alternative and emerging technologies. The length of the replacement process can vary, depending on several factors including: your facility requirements, your local licensing procedures, and the X-ray manufacturer. This chart from the Cesium Irradiator Replacement Project illustrates the potential steps involved in the replacement process. You can use it to help define a timeline for your own site. Other decision makers in the United States and around the world have taken steps to eliminate the risk of dirty bombs through cesium-137 irradiator replacement. Visit this page to learn more about these leaders who are taking steps to eliminate radiological risks. For a deeper dive into the details about replacement, watch the presentations from the 2017 workshop hosted by the New York City Department of Health and Mental Hygiene in partnership with NTI and ORS, and the presentations from 2018 workshops hosted by the University of California, also in partnership with NTI and ORS. The University of California (UC) system collected a set of research papers and resources comparing cesium-137 to X-ray irradiators and made them available for review here.